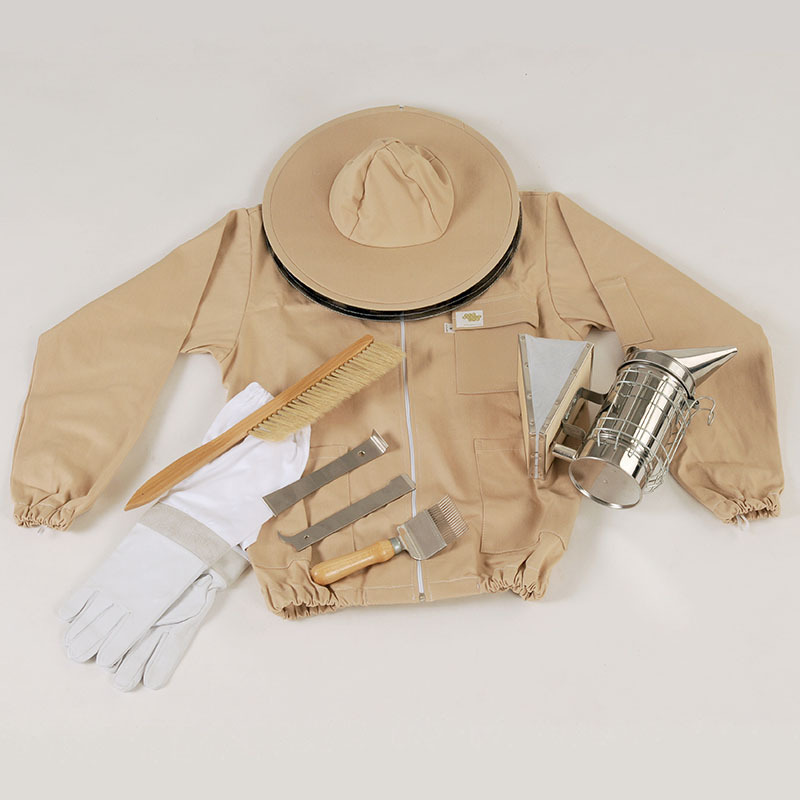 Discounted beekeeping starter pack for beginners, including one's choice of protective clothing and a selection of core tools. These images are for illustrative purposes only and colours may vary. We will endeavour to supply the requested colour, but in the event of this not being possible, we may substitute another colour in its place.